Time to pick out the perfect retirement gift. In only a few days, the US will have a new president and vice president, and the current guys, Obama and Biden, will have a lot of newfound free time. What to do? For Joe Biden at least, it’s time to buy a new car, specifically a Corvette. As we already know, Biden is a huge car guy and owner of a 1967 Corvette that he bought new back in the day. 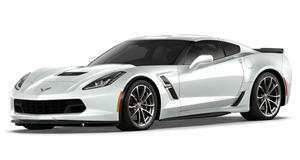 But now he wants a new Vette and he’s having a hard time deciding, according to Road and Track. The solution? 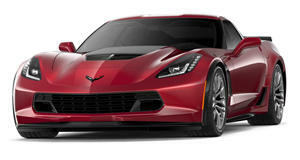 Ask the Corvette’s chief engineer, Tadge Juechter, for buying advice. While touring the 2017 Detroit Auto Show earlier this week, Vice President Biden spent extra time at the Chevrolet stand. Turns out he was also car shopping. According to Juechter, Biden fell hard for the Corvette Grand Sport. “He got in the Grand Sport and was like, ‘this is really sweet,’” Juechter said immediately afterwards. “He pulled me out of the crowd three times as he was walking around,” Juechter continued. “He wants to try the Z06. He’s a little worried that it might be over the top for him, but he’s definitely interested in trying.” Apparently Biden hasn’t made up his mind, so he gave Juechter his card. “Once he gets out and he’s allowed to drive on his own (Secret Service won’t let him), he’s psyched to get a new one,” said Juechter. Regardless of your politics, we’ll miss having a Corvette and car guy being the second most powerful person on the planet.